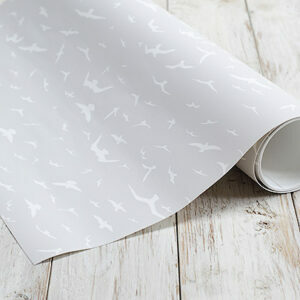 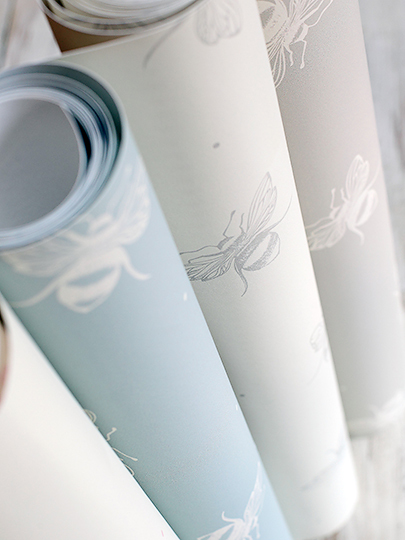 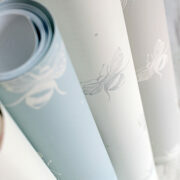 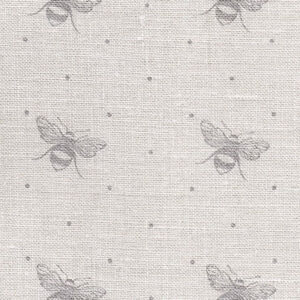 Stunning wallpaper with busy bumble bees in grey on an off white background. 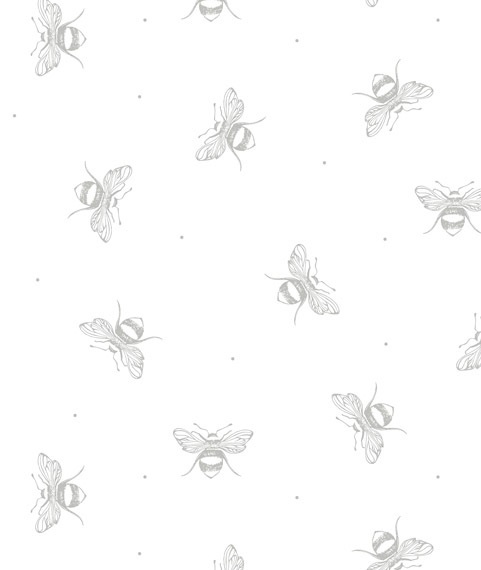 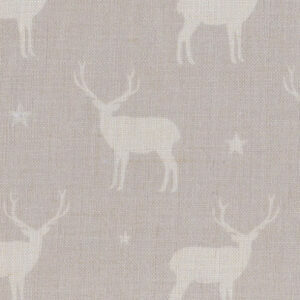 We used to do this on cream but felt this fresher new background was preferable. 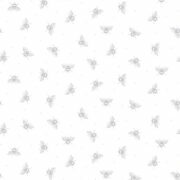 If you have ordered recently a sample of cream and would rather the white, just phone us we can send you a sample free of charge. 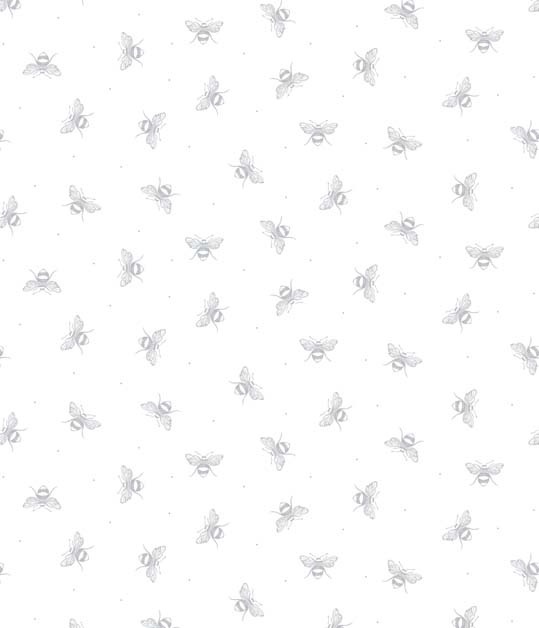 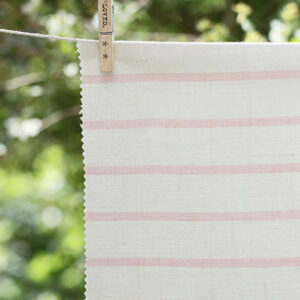 We can also print this in the “Tiny” scale as per the fabric, you can select this in the drop down menu.